We are one of the leading manufacturers and suppliers of Low, Medium & High Pressure Blowers, which is made using quality raw materials in compliance with industry standards. We offer our range in various specifications, which meet the exact requirement of our clients and known for its durability and longer service life. Note: For more details, kindly refer the attached PDF. Our company specializes in manufacturing quality Roots Blower, which meets the variegated requirements of our clientele. Schematic Aircon & Automation Pvt. Ltd. Available accessories include relief valve, inlet fiter, check valve, extended base, V-belt drive, flexible couplings. 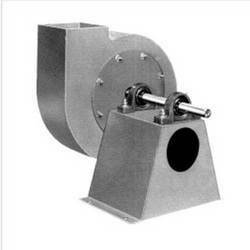 HARISH blowers are designed and built with close tolerances between the impeller, casing and head plates to minimize “back-slippage of air and improve efficiency.